This article was written on 22 Jun 2013, and is filled under author: successmontage. Being an avid fan of Thomas Harris’ Hannibal tetralogy, I will admit that when I first heard about the plans to remake Hannibal into a TV show, I wasn’t too impressed. Too often, franchises receive countless remakes and sequels that only serve to lessen the overall quality as a whole. But, because I’m a huge Hannibal Lecter fan, I knew I had to give it a go at least. Thankfully, NBC proved me wrong. This is an excellent TV show. Hannibal, adapted for TV by producer Bryan Fuller (Pushing Daisies, Dead Like Me) is based off the events that occur in the first book Red Dragon. Although the show doesn’t follow the events of the book exactly, it is a incredibly entertaining adaptation which differs from the book and the film. It focuses very heavily on the relationship between Dr. Hannibal Lecter (Mads Mikkelsen, Casino Royale) and Will Graham (Hugh Dancy, Black Hawk Down) and Lecter’s career as a psychiatrist. I enjoyed this take on him, as we usually see Hannibal as a well known serial killer and cannibal. In this adaptation, he is depicted as a psychopath only to the audience, and as a consequence we are subjected to some hilariously ironic lines throughout the first series. A personal favourite of mine is; “Hannibal Lecter is one of the sanest men I know”. Of course, he is quite the opposite! Mads Mikkelsen’s portrayal of Hannibal differs from Anthony Hopkins’ Oscar winning performance, but I enjoyed both equally. He portrays Lecter as an intelligent, polite, eerily calm psychiatrist and it is easy to forget which side Hannibal is really on. He is brilliantly manipulative, doing everything in his power to get the characters to trust him, and that often has the same effect on the audience. He truly is an unpredictable character who keeps you on the edge of your seat. Hugh Dancy is just as excellent as FBI criminal profiler Will Graham, who gradually loses his sanity through his unique ‘gift’; the ability to sympathise entirely with psychopaths and serial killers. Through Graham’s character, we are subjected to some truly eerie hallucinations and dream sequences, that he struggles to distinguish between dreams and reality. Examples of the supporting cast are FBI boss Jack Crawford (Laurence Fishburne, The Matrix), psychiatrist Dr. Alana Bloom (Caroline Dhavernas, Devil), daughter of a serial killer Abigail Hobbs (Kacey Rohl, Red Riding Hood), Hannibal Lecter’s own psychiatrist Dr. Bedelia Du Maurier (Gillian Anderson, The X Files) and the insane Dr. Abel Gideon (Eddie Izzard, Oceans Thirteen) . Each and every character is well thought out/researched and praise must be given to the overall quality of the casting. Each one is just as convincing as the last, which is another reason why I thought this show was so addictive. It is easy to develop a certain like/dislike for every character, and as a consequence Hannibal reels you in and keeps you glued to its narrative. 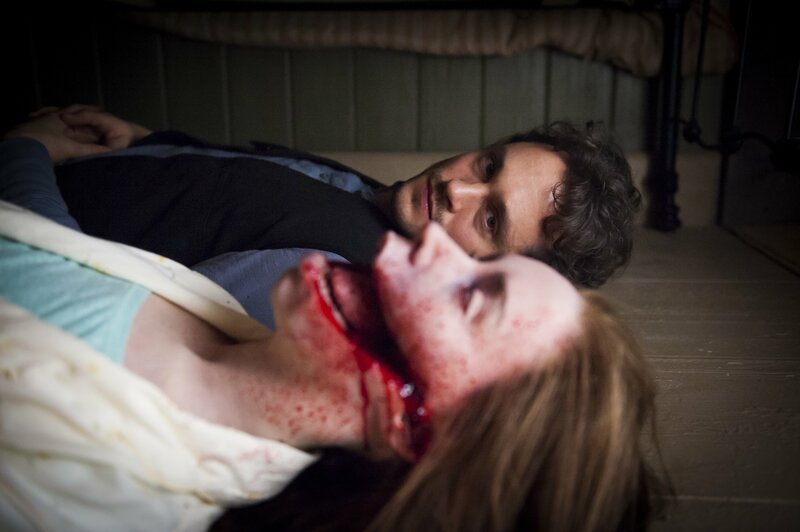 Throughout the first season, we are subjected to a variety of grisly crime scenes and creepy hallucinations which allows Hannibal to take its place amongst popular horror TV shows. The editing is enjoyable and often displays elements of black comedy at times, especially when the FBI are discussing cannibalism then it cuts straight to Hannibal cutting up and/or eating human organs. It is clear that a lot of thought has gone into every scene, and it shines through the whole series. Though, thing that disturbs me the most about this series isn’t the graphic imagery, it’s the fact Hannibal is serving dinner parties with people on the menu… and nobody knows. 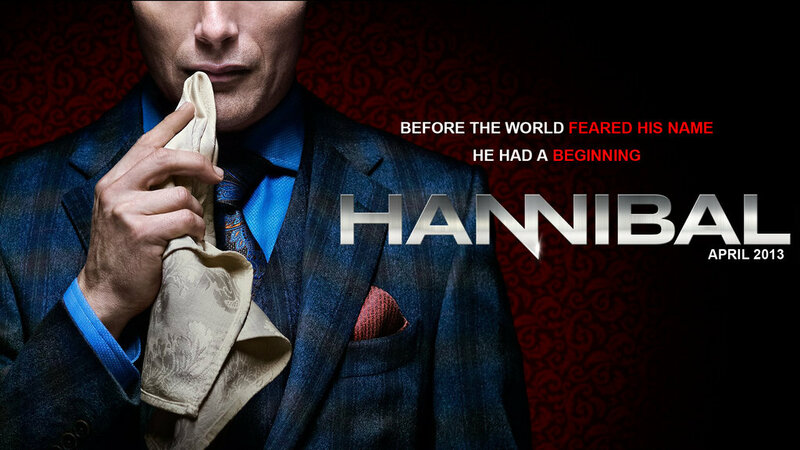 I am delighted to announce that Hannibal has been confirmed for a second season, which will air next year. I wait with bated breath to see what season 2 will bring us, and if it’s anything like the first, I can assure you it will be incredible!